As the third largest city in the U.S., Chicago is home to a vast range of school types, sizes, options, and admissions processes. Even within Chicago Public Schools (CPS), there are various pathways for entry from preschool to high school. Overlaid with the multitude of private and parochial schools, there are always choices for parents whenever they embark on their school search. That being said, one of the keys to increasing your odds in any endeavor is to know when those odds are at their best. 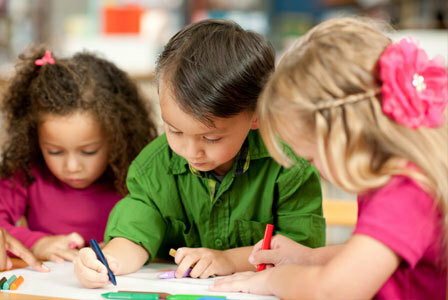 For school admissions, when a program begins is known as the “entry year” of a school (e.g., a K-8 school’s entry year is kindergarten). This is typically the time when the school has the most spots available. But it can have the most applicants, as well. For example, a school with two kindergarten classrooms of 25 students each will have 50 spots to fill, and perhaps 500 applicants (a 10% admit rate). Conversely, that same school’s first-grade class may have just one spot open, but only five students applying — so it could have a 20% admit rate in a non-entry year. Considering how difficult it is to predict if any upper-year spots may be available, a good strategy is to be in the applicant pool of the entry year for your desired school. Most preschool and early elementary programs have a strict age cutoff date of September 1, so keep that in mind when determining your child’s entry year. Once a school’s entry point is confirmed, be sure to apply one year before the program starts to be in the running for available seats. In other words, if you are interested in a school that begins at 3 years old, then plan to apply that fall when your child is 2 years old. Whatever year you enter a school, you are allowed to stay until the school ends, which is typically 8th or 12th grade. Targeting the entry year can increase your odds of acceptance at a school of your choice. Good luck with your school search journey, and may the odds be with you!